What is a 3D Pen? A 3D pen is a pen that prints in 3 dimensions. If that’s a bit confusing to you, then don’t worry because 3D pens are relatively new and not everyone has them yet. To make it easier, think of your ordinary glue gun – with colored glue sticks and a smaller tip. But instead of gluing things together, the colored plastic that oozes out of the pen’s nozzle is used to draw figures and artwork. It’s sort of like drawing stick figures. The only difference is that you don’t use paper to print them on, but instead just let the figures stand up on their own. The effect is like creating a sculpture in different colors by just using a simple pen! Don’t Miss: Best 3D Pens of 2017. Who’s crazy enough to invent a 3D pen? In the beginning… there was only 3D printers. There was no 3D pen. 3D printers were bulky and expensive. Obviously, not many hobbyists and artists can afford that kind of machine. And besides, you still need a computer to design your figures before you can print them on a 3D printer. Figuring out how to design things in the computer took a ton of computer expertise. What was missing was a small, portable, and independent pen that artists can use to draw 3D figures. Enter the fantastic triumvirate of Peter Dilworth, Maxwell Bogue, and Daniel Cowen whose bad experience with a 3D printer led to the creation of the first 3D pen. They called their invention the 3Doodler, which is basically, a glue gun for 3D drawing. They launched in 2013 and the rest is history. 3D pens are now a must have for people who are artistic. The principle that makes 3D pens work is very simple. Heat is used to melt plastic. Just like the simple glue gun, plastic filament is pushed through a heating chamber where it is melted. The temperature varies depending on the materials used to make the filament. The melted filament is then pushed through the extruder nozzle. 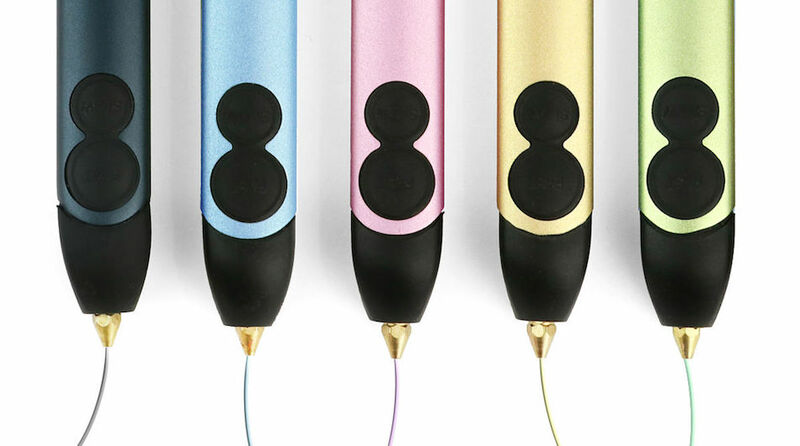 The pen user (sometimes called doodler) moves the pen to create different shapes and figures. The melted plastic cools down and solidifies quickly once outside the pen, making the shape of the extruded filament permanent. 3D pen plastics must be able to melt fast and solidify quickly when extruded. A handful of plastics meet these criteria. Among them are acrylonitrile butadiene styrene (ABS), poly lactic acid (PLA), polyvinyl alcohol (PVA), polyamide (nylon), glass filled polyamide, polycarbonate (PC), and high density polyethylene(HDPE). The most popular by far are ABS and PLA plastics. ABS plastic use in manufacturing is widespread because of its low cost. From Legos, to bicycle parts, ABS plastic is everywhere. 3D printing took advantage of this cheap plastic and made ABS the most popular filament for 3D pens. It’s easy to find ABS at craft stores or online. One of the downside of using ABS is its higher melting temperature, which is pegged at 210 to 250 degree Celsius. Fortunately, technology is so advanced today that even the smallest 3D pen has no trouble reaching that temperature. However, using them at this temperature causes the plastic to emit mild fumes that may cause irritation to those who inhale the fumes. Doodlers who use ABS filament extensively should always work in well ventilated areas to avoid too much inhalation of the fumes. Alternatively, you can use a mask if you plan on using ABS for long uninterrupted periods of time. You will be surprised to know that PLA is derived from common food sources such as corn, potato, or sugar cane. Yes, it’s a kind if plastic but it is also biodegradable so will not pollute the environment. 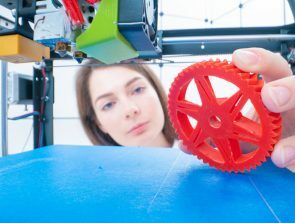 Using PLA for 3D printing instead of other plastics is better for the environment. It also has slightly lower melting point at 160 to 220 degree Celsius, and does not emit harmful fumes when heated. Instead, it emits a slightly sweet odor similar to what you get when you cook pancakes. Who wouldn’t want to smell that while working? On the downside, 3D printing filaments made from PLA are slow to cool down once extruded from the pen’s nozzle. That is why you will need additional cooling equipment if you want to work on complex design with lots of tiny details. It is also more brittle compared to ABS. 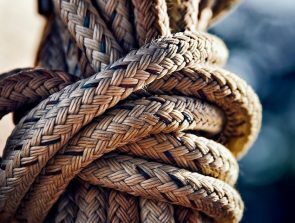 Considering how people are turning to environmentally products, it won’t be a surprise if PLA will become the most popular 3D printing filament in the future. 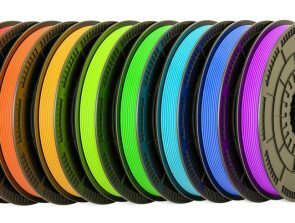 3D pen filaments are cheap, so we recommend doodlers to buy both types of filament, experiment with them, and find which one suits their needs most. Artists and hobbyists alike can find great joy in seeing how their creation takes shape right before their eyes. The invention of 3D pens has given us the opportunity to move away from flat surface and actually make our ideas take tangible shapes. 3D printers are still the best choice in printing complex designs, but for those who want show their artistic talents, 3D pens are always the best choice.